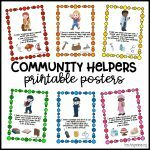 Yesterday I shared with you printable posters for community helpers. 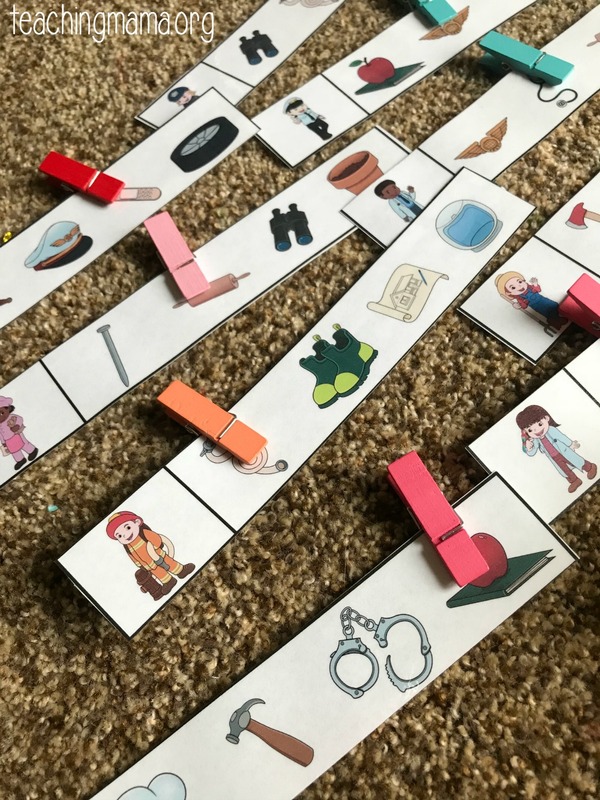 Today I’m sharing an activity for child to practice knowing what tools community helpers use. 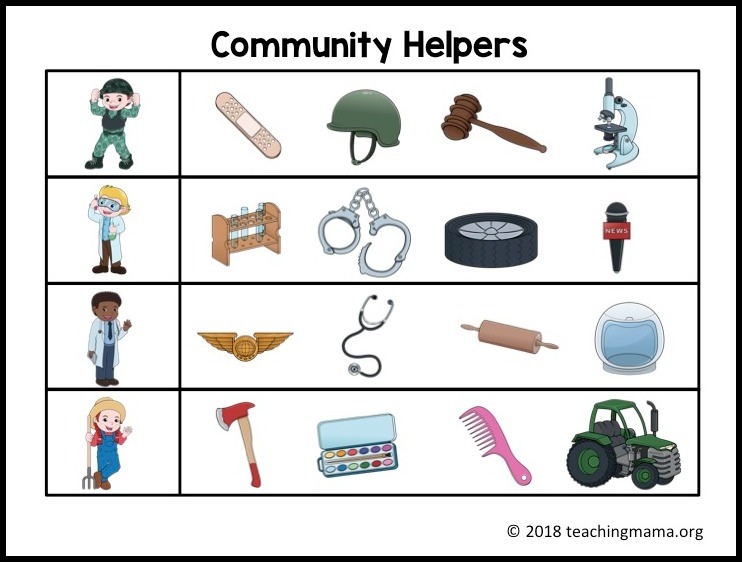 This is a fun way to practice identifying community helpers and what their jobs are! 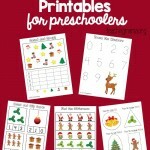 Begin by printing out the printable. 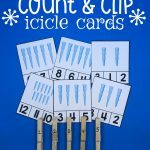 Cut apart each row so you have strips. 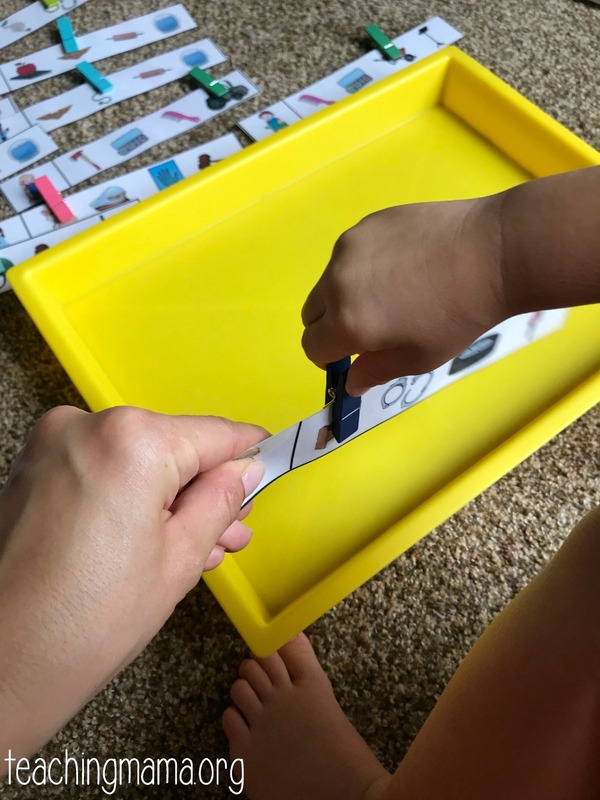 I used a laminator to make ours more sturdy. 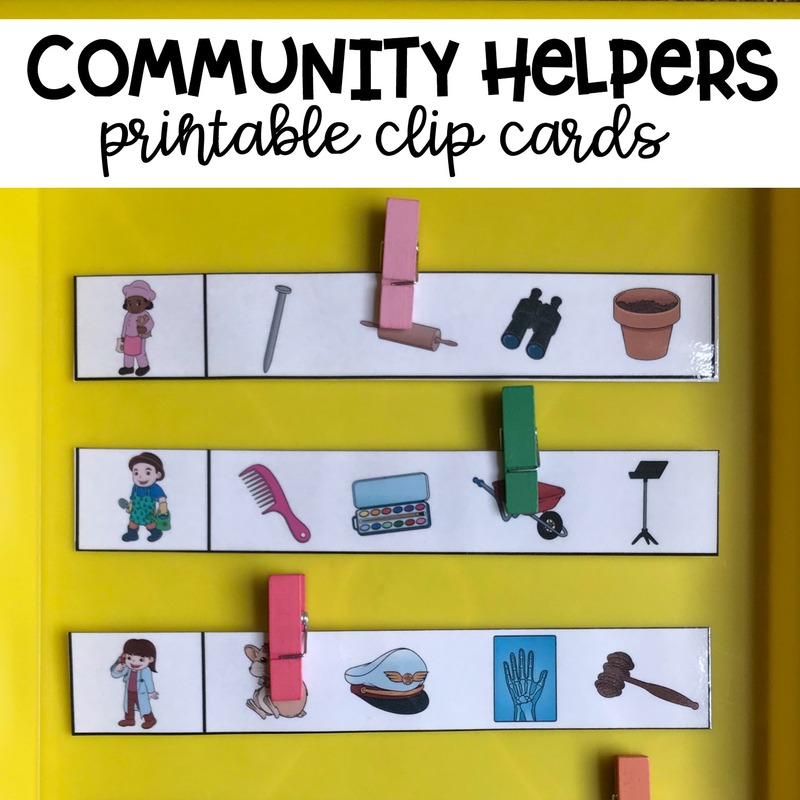 On the cards, there is a picture of a community helper on the left side. 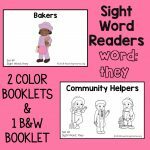 Invite your child to identify which helper it is. 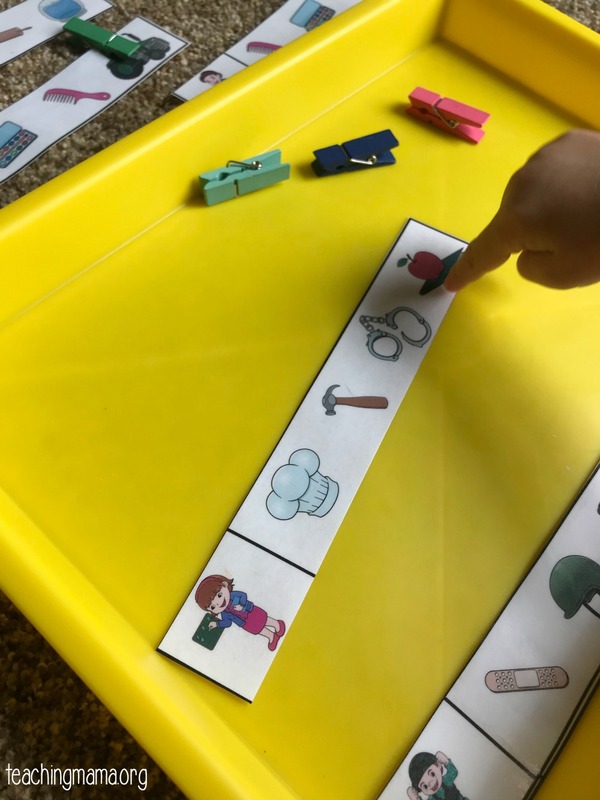 Then have them figure out which tool they would use for their job. There are four options. 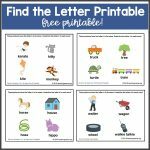 Have them pin a clothespin onto the picture. They may need help holding the card while they pin on the clothespin. 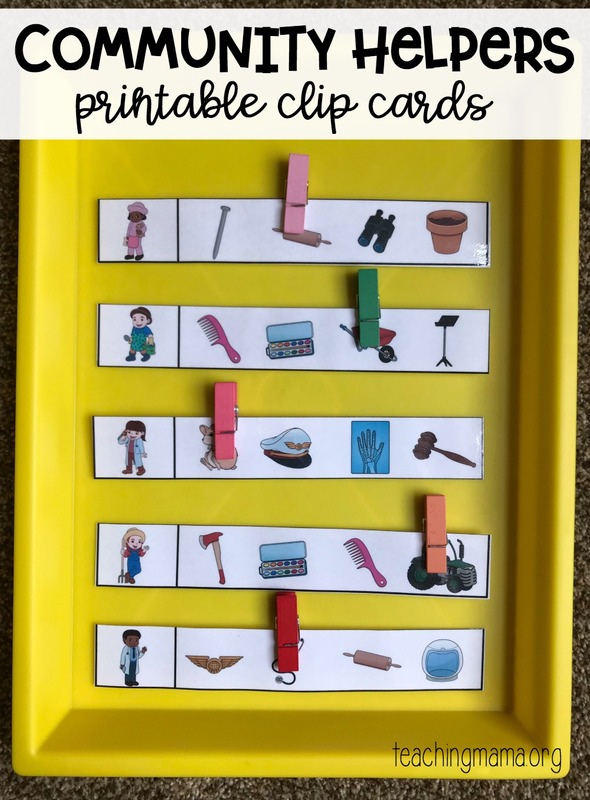 Using clothespins is awesome for fine motor development! 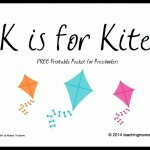 Their hand is strengthened with this movement and they also have to use hand-eye coordination.